Magic Holidays: 8 Signs Say You Need A Vacation! 8 Signs Say You Need A Vacation! All work and no play will most certainly lead to a burnout. Forget the long hours of your job and book some days off – go for the much needed rejuvenating vacation. It is said that only time can heal a broken heart, but we know for sure that spending time with your best buddies is a sure shot to speed things along. 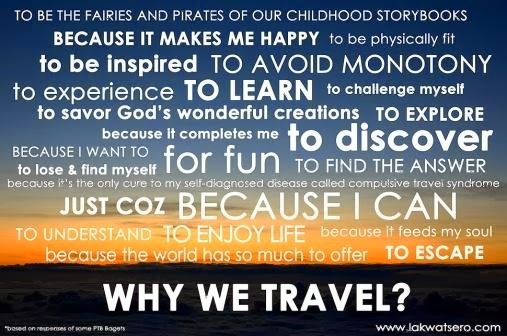 Or just go for an adventure trip on your own, explore world, discover different people & customs. Plan a weekend getaway, right away! Run away from anything that is disturbing your peace of mind. Silence is golden, try to achieve it – on a solo getaway – without the constant pinging of your Blackberry or laptop. You’ve been stuck in the same-old routine in effect, making you feel old and rather bored. Thankfully for you, it’s never too late to spin things around and create the life you’d really like to live. Start now and plan a vacation. If that last ‘trip’ you took was to the Grocery Mart or a Mall, you’re doing it wrong. Break your sedentary habits with an energetic trip that’ll pump up the life in you and your family. Go for the trekking you had been putting off since ages, mix some ‘nature & excitement’ ingredients in your life! The world’s constantly changing, so why don’t you go & check it out! Get out of your comfort zone. Leave from the safe confines of your place and explore the cultures, food and more. Pick a place you’d like to check out and book your tickets at once! People are always so busy working, running a household, etc, that they forget the most important part – making memories. Don’t let that happen to you, be it a trip to your nearest hill station or weekend at a beach house, go and enjoy! Tackle new tasks and challenge yourself to keep your mind and body agile. Find something new you’d like to try and do it. 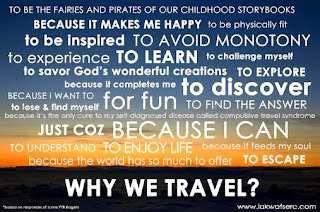 Travel is very well known for providing that spark and opportunity for growth. So what are you waiting for now? Pack your bags & catch the next train!